(RxWiki News) Americans may be getting less sleep than they have in previous years, and it might be because of smartphones. Data from a 2015 survey found that 57.8 percent of middle school students and 72.7 percent of high school students did not get enough sleep on school nights. Lack of sleep is not only linked to chronic conditions like type 2 diabetes and heart disease, but it's associated with motor vehicle crashes and poor academic performance among children. Those between the ages of 6 and 12 should regularly sleep nine to 12 hours. Teenagers should sleep eight to 10 hours. Adults need at least seven hours. What Does Your Phone Have to Do with It? 1) Smartphones, tablets, and computers all emit a blue light. This blue light is stimulating and can keep you up. This light reduces the amount of melatonin released in your brain, according to Harvard Medical School researchers. In fact, an experiment conducted by Harvard researchers and their colleagues looked at the effects of 6.5 hours of exposure to blue light compared to exposure to green light. They found the blue light reduced the release of melatonin for around twice as long as the green light did. Furthermore, the blue light affected circadian rhythms about twice as much. 2) Surfing the Web, checking emails, and using social media can affect your mood and, as a result, your sleep. 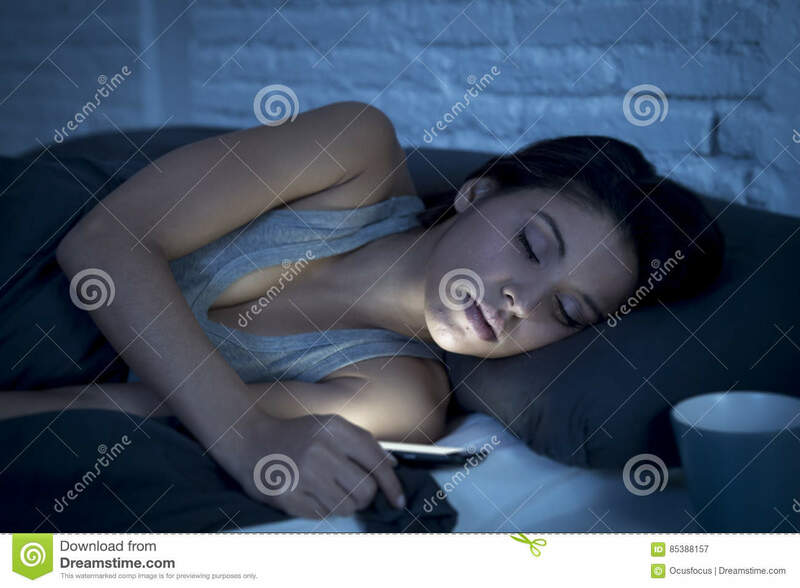 3) Having your phone so close means your sleep can be disturbed that much more easily by noisy notifications like texts and emails. Create a comfortable sleeping environment to improve your sleep. This may mean turning down the temperature, turning off the TV and making the room dark. The bedroom should be reserved for sleep. This means you should unplug before tucking in. Stop using your electronics at least 30 minutes before bedtime. Better yet, avoid bringing computers, iPads, TVs or work into the bedroom. You want to limit your exposure to blue light before bedtime. 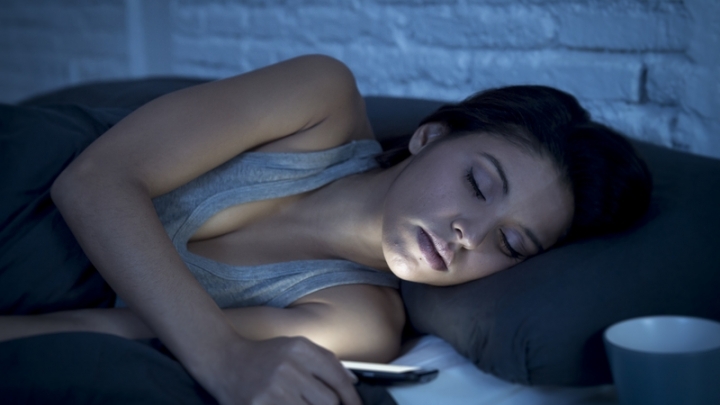 Furthermore, avoid looking at bright screens two to three hours before bed. You can use dim red lights for night lights if you need to. For your kids, implement a media curfew. Although this is important for kids, a media curfew can be beneficial for all age groups. For more information, check out Ways to Improve Sleep. Ask your health care provider any questions you have about good sleep hygiene.